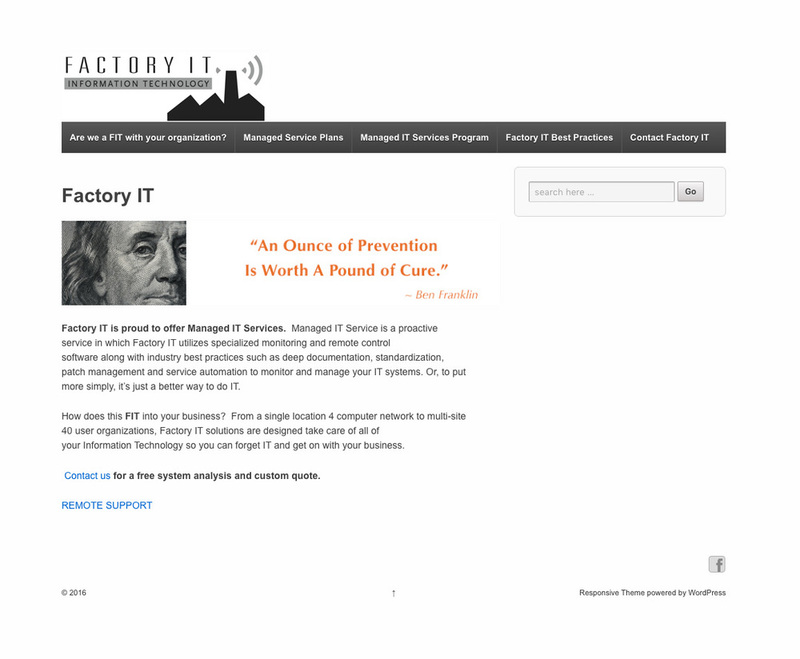 Factory IT | Knapsack Creative Co. 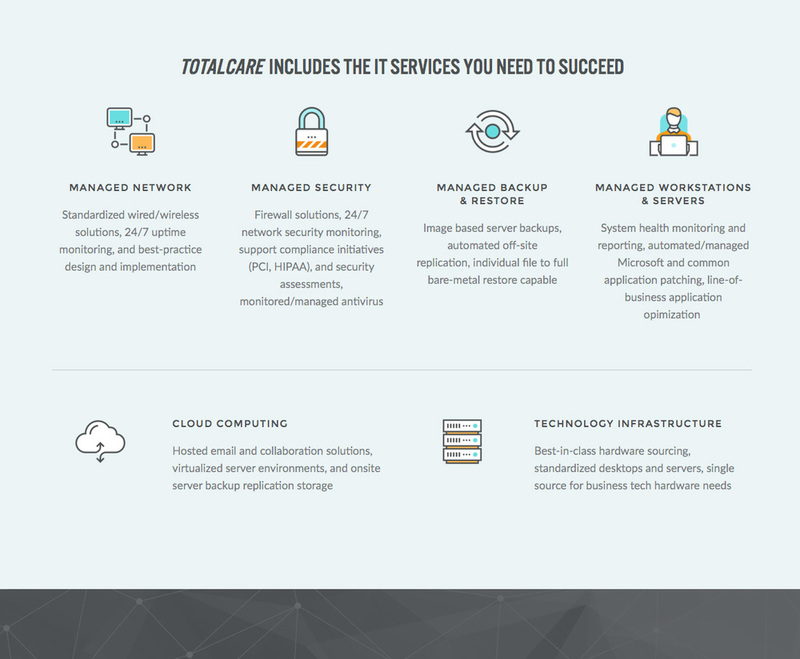 IT Factory owner Zach Huseby came to us looking for an overhaul of his WordPress-based website that was created several years ago. He was looking for something professional, but not stuffy. Something that would better communicate the friendly vibe of his team. After we talked through the old site together, Zach was able to provide a new, simplified draft of their website content so that we would have a good starting point for the project. On the date of the website build we closely collaborated over video chat so he could see the progress of the design and give feedback. We carefully selected a Squarespace template, fonts, colors, and stock imagery to portray the look we were going for. We reorganized text and added headlines as necessary to clarify their message. We even had time to take a stab at their logo (which had been a pain point for a while). With just a few simple adjustments we were able to make it more professional. By 5 o'clock the new IT Factory site was live! Check out the before and after gallery below or visit the new site.